Let there be light! 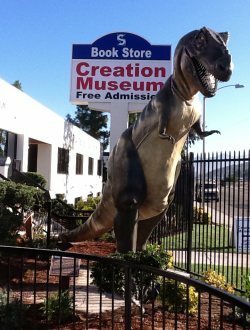 The Creation and Earth History Museum in Santee is a showcase of the literal six-day creation of earth, according to the Bible’s book of Genesis. Highlights include stellar displays of planetary development (Day 1), a jungle-like Garden Room with live animal terrariums (Day 6), model of Noah’s Ark (great photo opp), an Ice Age Room and Ancient Civilizations Room with replicas of the Tower of Babel and Rosetta Stone. Admission is free. Out of this world! 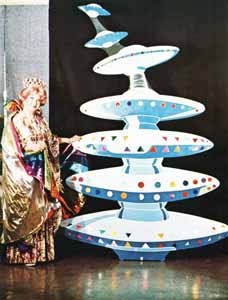 The Unarius Academy of Science in El Cajon is a garden-like teaching center featuring cosmic art, a “Power Tower,” Future City Model and Star Center room with murals of Atlantis – illustrating Unariun beliefs in past lives, Tesla technology, lost civilizations and UFOs. 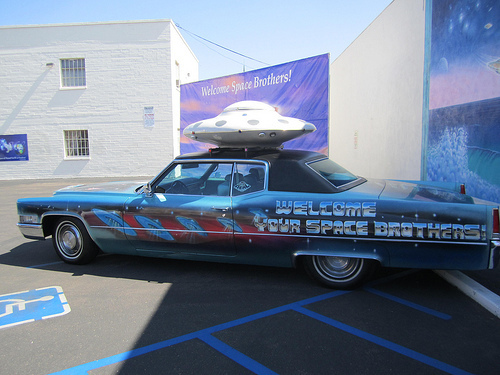 The group is known for its 2001 prophecy of spaceships landing in nearby Jamul to form a spiritual tower. Call 619-444-7062 or e-mail uriel@unarius.org to arrange a visit. Did you know: Unarius stands for Universal Articulate Interdimensional Understanding of Science. 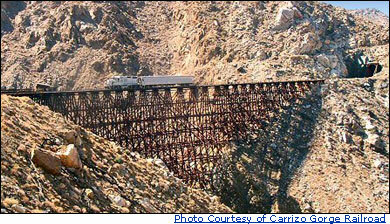 Make tracks… to the world’s tallest curved timber railroad trestle, the Goat Canyon Trestle Bridge traversing the steep-walled Carrizo Gorge near Jacumba. It spans 200 feet high and 750 feet long! It’s a hearty hike to the vista point, but well worth it. For those who may not have the hiking boots (or stamina) to make the trek, there’s a 10-foot high model at the San Diego Model Railroad Museum (the world’s largest operating model railroad museum) in Balboa Park. A-MAZE-ing! 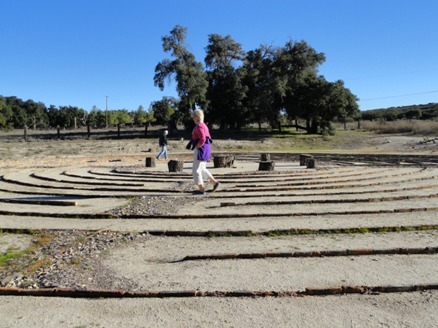 Check out California’s two largest labyrinths at Labyrinth in the Oaks, a private riverfront retreat along the San Diego River headwaters in Julian, and Sacred Rocks Reserve in Boulevard. Both claim to have the largest labyrinths in the state, but technically LITO is biggest at 105 feet in diameter. Sacred Rocks’ maze is still an impressive 100 feet, modeled after the labyrinth in Chartres Cathedral in France(!). Cost is $8 for a day pass to explore the grounds of Sacred Rocks. Labyrinth in the Oaks is open to overnight guests only.